The Forbidden Power video gave me Egyptian vibes, but that pic not so much. On the other hand, Warcry seems interesting and that terrain looks really good. Exactly. It would really have to tank to not go there. 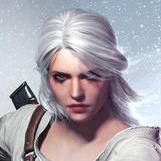 Why sell the game once when you can sell it many times? I can't say I've ever been as stoked for a GW product as Warcry. As someone who loves skirmish gaming with narrative focus this checks all of my boxes. Warband progression ? Check. Small table size? Check. Games that don't take forever to play or set up? Check. Awesome setting? Check. Mordheim is probably my all time favorite miniature game and this seems to be a AoS spiritual successor (with what I am guessing is a less robust campaign system- something I am fine with) mixed with a little bit of the original Path to Glory (WD article game).....down to the narrow setting and thus restricted warbands. Mordheim felt like Mordheim to me because the Warbands were so perfect for the setting, it helped (at least for me) with narrative immersion to not see a warband of High Elves cruising around fighting Empire mercenaries. I like that Warcry is trying for that. 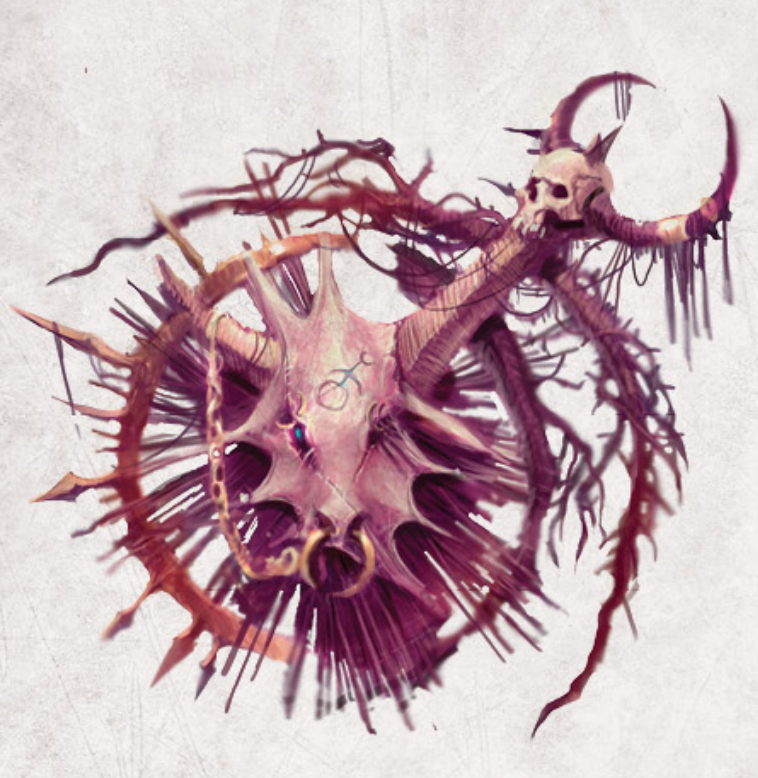 I probably wouldn't be as interested if it was just Khorne vs. Nurgle vs. Tzeentch vs. Slaanesh, but the warbands shown look really unique, and I'm guessing all of them will be pretty varied. Also.....the models look fantastic. Don't get me wrong, I do feel for those who wanted an AoS Kill Team (and hope that something along the lines is released soon rather than later), but this really hits all the spots for me. I'm definitely going to be clearing some room for this one. First of all, mea culpa for colporting the Ben2 rumors (corroborating shady /tg/ leaks, yeah...) . He - obviously now - was full of it. For GAMA in general : nice event I guess. Halflings are cute, and Warhammer Quest is great, so that Traitor Command expansion looks chaotically fine. For WARCY : well.... even as a Chaos player, I really wanted to see the game open to more factions, ala Kill Team. Maybe, like the heavily Empire/Imperium-centered Mordheim and Nacromunda (at their start), the game will evolve, but anyway... I LOVE what I am seeing. The orientation of the rules looks interesting, it's in 3D with scenery, which looks really good (and are indeed usable in other Skirmish settings, be it AOS Skirmish or some Kill Team in a Daemon World for 40k - except for that giant fallen Sigmar head of course ). Six warbands (which are not currently existing factions like Bloodbound or Maggotkin) ? Awesome. Tribsmen from Ghur + Chaos Hounds vs Full-plates Warriors from Chamon ? Awesome. Some bird monsters and plastic Chaos Furies (yeah some look duplicated) ? Awesome. 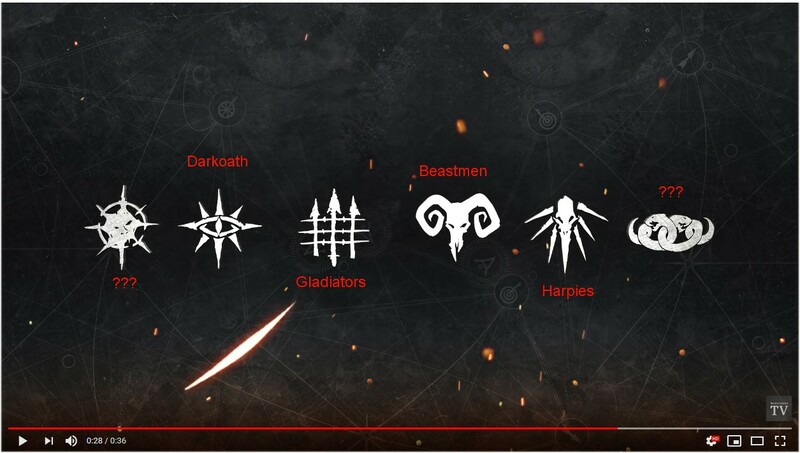 Also looks like these will be the first two Chaos tribes we see and there seem to be 4 more from what the tribe symbol bit seemed to say. I didn't say ALL people. I am people too and I don't like Skirmish. It has many issues. Just look at all the fan-created variants that have come out of the years and you'll see what I mean; I am not the only one that thinks this.. Some people like the idea of Warcry being Chaos only. Some people don't. Each to their own. Personally, I was *hoping* Warcry would be the AoS equivalent of Kill Team. And it still may be. But it doesn't read that way. In short, they want Warcry, but they want to be able to use all factions, not just Chaos. In reply to @Chikout which roughly described my reaction to the reveal. Initial disappointment of a limited roster to the thought of how awesome Mordheim was which also had a limited roster, to the brutal looking models and terrain. Not to mention that I prefer GW to start small and add new things through expansions rather than starting as big as possible and struggle to get it right. I do feel the need to point out that there are also People who agree with the sentiment you tried to counter and disagree with your assessment. I totally agree. I think GW is great in milking the money out of us. Yeah, have to say as someone who doesn't collect any AoS Chaos factions (I think the Eyes of the Nine war band from Underworlds is actually my only Chaos models) I'm really looking forward to this. 6 different tribes, so lots of scope for interesting design choices and the first two look good, I probably prefer the more wild, barbarian looking ones to the deep sea divers but both are cool and I like the monsters and scenery they showed (though a lot of that could/was probably kit bashed from existing stuff, so who knows what we'll get). Will be interesting to see how they differentiate the remaining 4, from the artwork it seems like we may have some kind of Arabian/Persian/North African inspired one which would be amazing, then hopefully 3 others that all head in weird new directions. Yeah it's not exactly Kill Team but then when you think about it why just release the same game re-skinned for fantasy, Skirmish for all its faults exists and is a perfectly malleable system to play around with and come up with a game you like, so hopefully this has some interesting, unique play mechanics of its own. I'm figuring around half a dozen models per side, maybe we'll get alternate activations, some kind of card system to make the melee combat more involved and skilful rather than just dice rolling, possibly/proabably some kind of legacy mechanic as that's all the rage. Any of that plus a load of scenery and you have my attention. I guess the war bands will be rolled out in Necromonda/Underworlds style so we'll the game will at least be just chaos focussed for the rest of 2019, but then who knows. Still the tighter they keep it the more interesting the game rules can be, so bring it on. For me, the terrain is the star of the show. I have a pretty reasonable collection of Azyrite Ruins so I probably don't need heaps of it but I could make a large size ruined city if I combined both kits. I do love the models though, especially the Furies. Not a big Khorne follower (I am more Tzeentch). Interested to find out more though. There should be mechanics for the mini dragon-birds and the Chaos Furies to attack the two warbands of the set, that's quite Chaos. I am disappointed that you can‘t use your existing models like in Kill Team. Really wanted to use my Khorne stuff and the Slaanesh half of Wrath of Rapture. This was the best feature of Kill Team for me, using units of factions without committing to big armies. For many, having to buy extras of old models we already had to get the rules material was the most irritating part of Kill Team. I am so unbelievably hyped for Warcray, to me it looks like it might be a sort of revival of Mordheim with some Warhammer Underworlds and Kill Team thrown in which I'm totally up for. 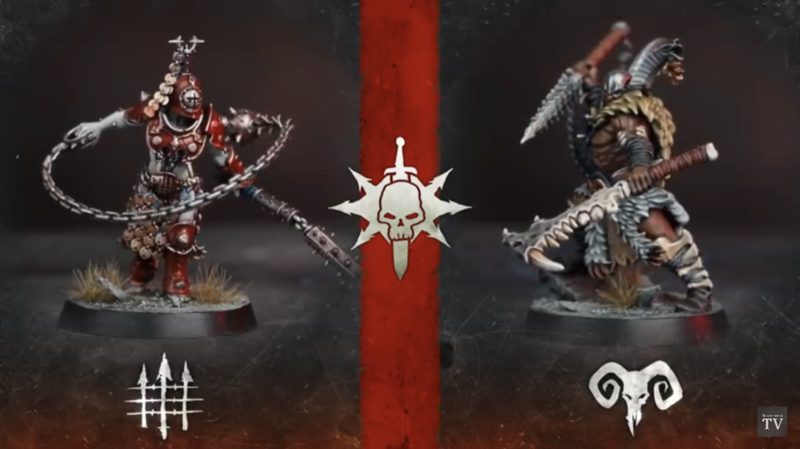 Those models look awesome, can't wait to see what the other warbands are going to look like as well as getting more information on how the game actually plays. Furies are among the 20-or-so terribad fantasy sculpts that are still sold by GW, so that is a good thing. Hopefully, we can cross the Keeper of Secrets off the list too as well. I'm also really glad that there's no Stormcast in Warcry. Now I can use all the models in the starter box and not have to dump the golden poster boys on trading pages. I see Gladiators, Darkoath, Beastmen, Harpies. 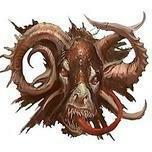 I think people are getting the wrong idea if they think that ram icon = 'Beastmen' = 'Beasts of Chaos'. Seems, to me at least, pretty clear that the horned ram faction are one of the two included in the starter set and just the more barbarian looking types with animal pelts, skulls etc. One thing I find strange is why they didn't delay BoC if new beast sculpts were in the pipeline. The book release seems to be the ideal time to drop new sculpts. The ‘Beastmen’ look to be the Darkoath type guys, from this picture. I’m guessing they’re the 2 warbands in the starter. Yeah I'm not sure; maybe it's like with the Shadespire warbands that they just release the models whenever they feel like it? Second from the right looks like a bird skull så Tzeensh? 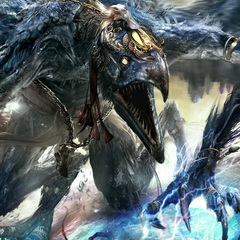 I think that’s the faction with the Furies, there was also some bird type things in the video.